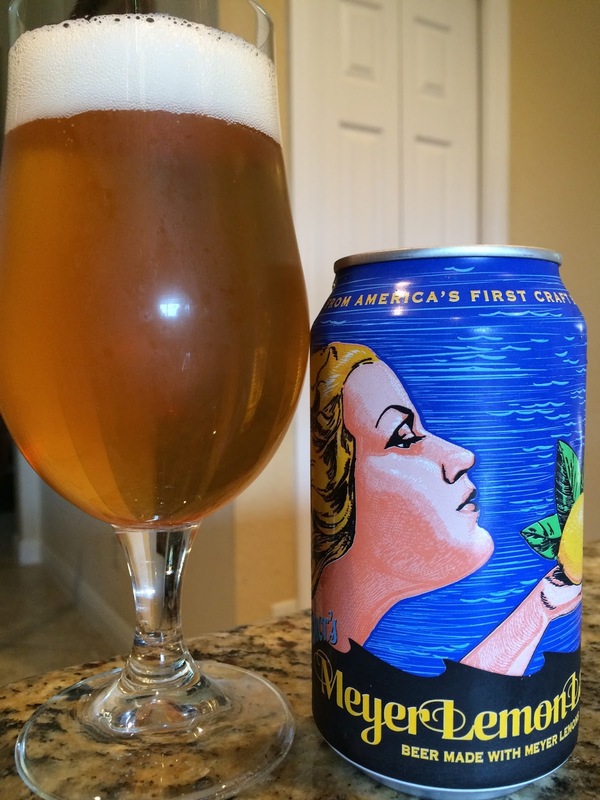 After enjoying Anchor Brewing's Mango Wheat recently, I decided to check out their other new beer: Meyer Lemon Lager. Again, the can is decorated with a woman with flowing hair. This time she's blonde and holding a pair of lemons instead. 4.5% alcohol. Light, fruity aroma, very subtle lemon. Flavors are also very subtle, though lemon shows through and does build some momentum after a few sips. Nicely tart with a tangy zip. Simple, refreshing drinker!